Children are big fans of the Dragon Ball. There are lots of Dragon Ball merchandise that you can buy from Simply Games, Zavvi, Amazon, and other UK sellers. You can go over our list of latest cheap Dragon Ball deals and offerings brought to you by our community of bargain hunters. Voucher codes that can give you big savings are very much available. You can even get your Dragon Ball shirts, video games, and other items delivered to your home for free. You can even by game bundles that you and your friends will surely enjoy. Dragon Ball video games are based on Manga and Anime series. Dragon Ball debuted in 1984 as a Manga series. It was created by Akira Toriyama and it has become a hit and beloved by people for more than three decades now. Fans are delighted because of martial arts action, buddy comedy, and fantasy adventure that it brings. These elements work well together this is why they made movies, tv series, and video games about it. The main character Goku continuously trains to be stronger and beat opponents as he explores the world to search for seven orbs that are called Dragon Balls. Once completed, the wielder will be granted wishes. There are lots of video game versions of Dragon Ball and these were developed for various genres. There are fighting and role-playing games that can be played by people of all ages. Dragon Ball video games were first released in Japan and they have expanded their market to many countries all over the world. Some of the most popular video game versions include Dragon Ball GT: Final Bout, Dragon Ball Z: The Legacy of Goku, and Dragon Ball Z: Budokai. How Can I Get Cheap Dragon Ball Deals Online? Dragon Ball is one of the most popular animes in the world today. Play your favourite Dragon Ball on video gaming consoles such as PlayStation, PC, Nintendo Switch, and Xbox One without compromising your budget with bundle deals available from UK retailers. 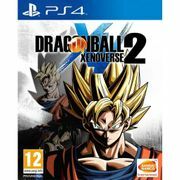 Here at Latest deals you will find the cheapest Dragon Ball PS4 Xenoverse 2 and Dragon Ball Fighterz price anywhere in the UK. If you’re a fan of the series and looking to stock up on your collection, you’ve come to the right place. We also have the best deals on Dragon Ball Z figures, Dragon Ball Z clothing, Dragon Ball super t shirts, Goku Adidas shirt, and all other merchandise and collectibles. Our massive community of bargain hunters are always sharing verified sales and special offers on Dragon Ball deals from major UK retailers. We also have a team of money-saving experts who regularly provide essential shopping tips and tricks that can give you some serious money off on your instore and online purchases. Most UK retailers have sale events, flash sales, and seasonal clearances where you can save as much as 60% off on Dragon Ball. You can also expect major price reductions during Black Friday, Cyber Monday, and Boxing Day. But if you want to truly maximise your savings, make sure to use the latest Dragon Ball discount codes we have here. There are also Dragon Ball voucher codes you can find where you can get freebies or free shipping. When purchasing video games online, make sure to check the specifications if that game is compatible to your gaming console so you won't encounter any technical problems when you receive the actual items. Enjoy playing Dragon Ball video games with your friends and family members. Be entertained for many hours. Whether they're saving the world from aliens, androids or simply trying to get a driver's license, there are very few anime out there that come close to the awesomeness of "Dragon Ball Z"! The adventures of Goku and his fellow earth defenders have entertained audiences young and old for years, but the massive series has more than a few facts and secrets you probably never knew! So chew on as many Senzu beans as you need because Cartoon Hangover has 107 anime facts you should know about "Dragon Ball Z"! Dragon Ball GT: Final Bout. This game was released in 1997 for PlayStation 1. This is one of the classic games that started the fighting-game revolution. It has 17 playable characters that you can choose from making it very entertaining. Dragon Ball Z: Budokai. Released in 2002 for PlayStation 2, it has more than 20 characters that you can play and each one of them has a story more. Choose characters like Goku, Cell, and Vegeta. Let them fight one another with powerful kicks, punches, and energy blasts. Dragon Ball Z: Budokai Tenkaichi Released for PlayStation 2 in 2005. This game uses an over-the-shoulder perspective which is quite unique for video games during those times. Now it has almost 60 characters that you can choose from. You should also unlock some of the characters for you to play with them. Dragon Ball Z: Burst Limit. Released in 2008 for PlayStation 3 and Xbox 360. This is a tournament-ready fighting game that has a really detailed story campaign. Choose from more than 20 characters. It is very entertaining because you can smash through mountains and transform into a Super Saiyan. Dragon Ball Xenoverse. Created for PC, PlayStation4, and Xbox One and was released in 2015. In this game, you may create a Time Patroller so that you can relive various famous battles in the Dragon Ball Z mythos. The best thing about this game is that you can customize the characters. Upgrade their equipment and learn new abilities. Dragon Ball FighterZ. Released in 2018 for PC, PlayStation 4, and Xbox One. This is a tournament based game that combines smooth animation with blasting-fast frame rates. It has great graphics and sound that will entertain you for hours. Choose from more than 20 playable characters and unlock tons of cosmic items.